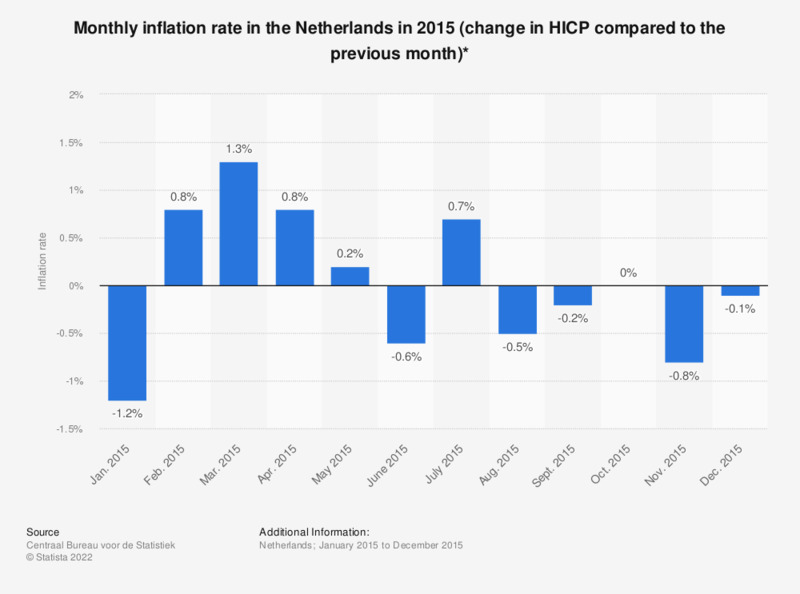 This statistic displays the monthly inflation rate in the Netherlands in 2015 (change in HICP compared to the previous month). It shows that in December 2015, the change in HICP compared to the previous month was -0.1 percent. * Price development in relation to the harmonised index (HCIP). Statistics on "Key economic indicators in the Netherlands"
What has been your total menu cost inflation so far this calender year?